The EPICENTER 2018 is going to be a very unique tournament. With the absence of Astralis and Mousesports, the CSGO EPICENTER tournament has a steady mix of the next best teams competing for the trophy. 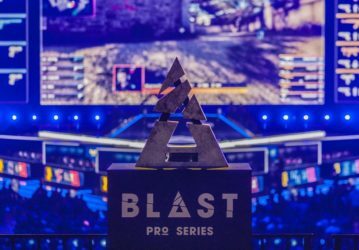 Apart from the $295,000 prize pool, this tournament presents an opportunity for the best teams to redeem their glory at this level of competition. EPICENTER 2018 will take place from 23rd October for a period of six days ending on the 28th. The tournament already has some big-name participants in the form of Na’Vi, ENCE, NIP, Team Liquid and Faze Clan. Each of these teams has shown promise in the past few months, but have always been shut down by the Danish dominance. With Astralis taking a break from their hectic schedule, this second rung of teams can find space to show some results for their performance. 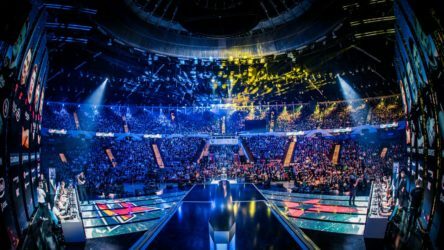 The three teams which are the most favoured to potentially win the tournament are Team liquid, Faze Clan and Natus Vincere. Both Faze Clan and Na’Vi have a proven track record over the past few months ranking highly in FACEIT and other major tournaments. Whilst theoretically they are the teams most favoured to take home the trophy, we have definitely seen bigger upsets in the past. Let’s take a look at the two teams in more detail. The Faze Clan roster is not at its best moments right now. The team originally came into existence as a combination of excellent firepower and skill, however surprisingly the one thing that they lack right now is their firepower. The International team has never been a roster which is well-known for its strategical prowess. Despite Karrigan being a decent In-Game leader, his importance to the team is not for his strategies. On the other hand, he has a history of being able to manage players with really high skill. For an international team like Faze Clan, the biggest challenge comes in the form of managing the egos of the various players. With players as talented as the ones on Faze Clan, it often becomes a difficult situation. However, in his attempt to focus on one aspect of the game, Karrigan was lacking in the tactical depth required at the Major. The fact that Niko took over the leadership responsibilities from Karrigan mid-tournament is really an upsetting news. Despite Faze Clan doing slightly better post this role-change, the chemistry within the team is not as strong anymore. The only player on this roster who seems to be in great form is Olofmeister. Unfortunately for him, the rest of the team is underperforming by a significant margin. Faze Clan need results and this tournament presents a perfect opportunity for the team to move forth. A good result would definitely boost their confidence and hopefully uplift the team’s overall performance. For now, Faze Clan’s biggest rival in this tournament remains Na’Vi. However, the team is also known to be at the receiving end of upsets from lower skilled rosters. Natus Vincere is a team that has two of the best players on its roster. However, the team also has several underperforming players which are dragging down the overall results for the roster. Regardless of this, Na’Vi has always been able to have deep placements. The role of a player on any CS:GO team should not be judged by his statistics in the game. There are no team where all five players perform extremely well with regards to KDR. Supportive roles and players in disadvantageous situations definitely will have a poorer KDR in the game. Electronic and S1mple are two of the best players in the world. Their individual aim and playstyle in clutch situations is proof of their class and firepower. S1mple has been able to constantly top the scoreboard even in matches where Na’Vi has a miserable performance. However, the duo shine when they are more comfortable in their gameplay. It is a very momentum based team and we can see how wins can change their playstyle and mood within the roster. For Na’Vi, winning this tournament would be a bittersweet moment. They were unable to win the FaceIT London Major. They were actually unable to even reach double digits against Astralis, the eventual Major winners. However, the fact that Na’Vi reached the Major finals is proof that they are a team that can compete against the very best. A big part of their performance will depend on how good Edward performs in their upcoming matches. With a lot of community pressure on the veteran player, Edward has to perform well in this tournament. If he is unable to perform well, and especially if Na;Vi do not win the tournament, we might see roster changes incoming for the CIS Squad. Na’Vi and Faze Clan are the best teams on paper. However, as we have seen in the recent past, the best teams do not always win in the early stages of the tournament. Fortunately for these teams, EPICENTER 2018 employs a Best of Three game format throughout the tournament. The chances of these top teams being upset are low and we hope to see one of these teams start winning tournaments with the EPICENTER 2018. EPICENTER 2018 will be streamed live on Twitch. You can catch all the action here.